Custom graphic novel sheds light on online dangers and human trafficking. 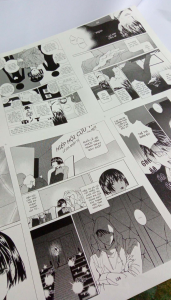 The SecDev Foundation is proud to launch Black Rose a new manga graphic novel raising awareness for digital safety and human trafficking dangers in Vietnam. Black Rose will be launched at a public event on Sunday 4 February 2018 featuring the book’s artists, Comicola, and a performance by Vietnamese rapper, Karik. Black Rose is a graphic novel about a celebrity singer who runs afoul of a human trafficking network after her Facebook page is attacked by a mysterious hacker. She enlists a ‘white-hat’ hacker to help her fight back. 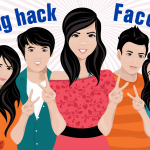 The novel, while primarily a dramatic adventure story, contains a number of real-life learning points on online safety, including a series of digital literacy guidelines at the back of the book. 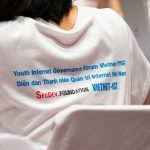 Vietnam is among the world’s hardest-hit countries by cyber crime. It ranked 101st of 195 countries in the International Telecommunications Union’s 2017 Global Security Index, a fall of 25 places from 2016. 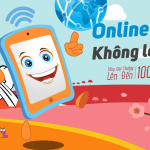 Vietnam government sources estimate that 72 percent of mobile devices are infected by viruses. Cybercrime has personal and social costs, such as lost data and accounts. Cyber criminals pose a serious threat in particular to youth. Artist and writer Duong Thach Thao is the author of three previous book-length manga stories. 2,000 copies of Black Rose will be distributed by NGOs in Vietnam to youth across many provinces. The book will also be sold by Comicola at its Hanoi shop. An English version of the book will be produced by the SecDev Foundation later in 2018. 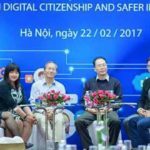 Digital Citizenship Vietnam aims to promote online safety and skills among Vietnamese youth, to strengthen digital responsibility in Vietnam.